An idyllic 19th Century country gîte with a large garden, about 2 km north of Ste Orse and about 2 hours from Bordeaux or Toulouse. The house and barn were originally part of the historic estate of Lafaye. 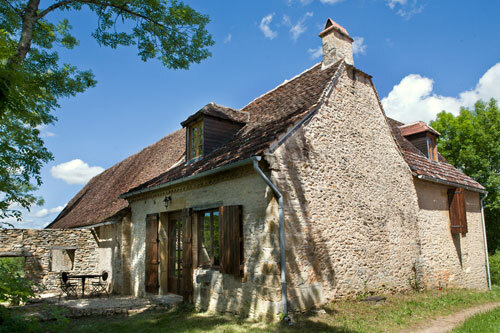 It is situated on top of a gentle hill and there are wonderful panoramic views over the hills of Perigord. Lafayette is surrounded by meadows and woodland, orchards and walnut trees and is a place of blissful tranquility, where you can relax, unwind and enjoy the surrounding birds and wildlife.